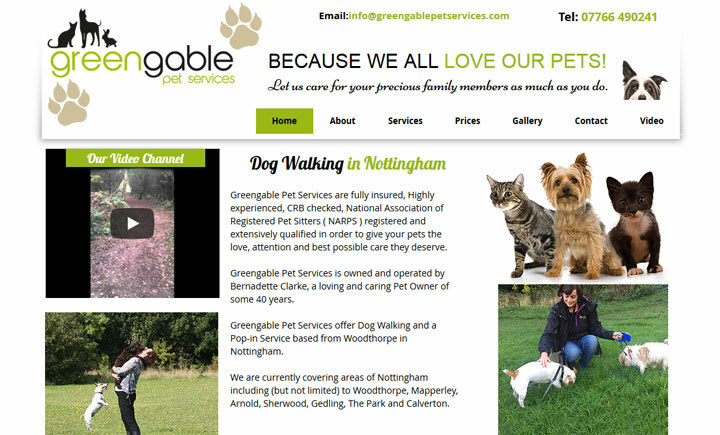 Owned and operated by Bernadette Clarke and based in Woodthorpe, Nottingham, Greengable Pet Services are fully insured, experienced, CRB checked, NARPS registered petsitters. Greengable Pet Services offer Dog Walking and a Pop-in Service. We can arrange individual walks or walks with another dog, but we do not offer group walks as we feel that we are giving your dog the best service by ensuring he/she has our full attention, whilst in our care. Walks can be adapted to suit all dogs, including slower paced and shorter walks for elderly dogs and energetic walks for dogs with plenty of energy. Greengable Pet Services also covers Woodthorpe, Mapperley, Arnold, Sherwood, Gedling. If you like us, share us!